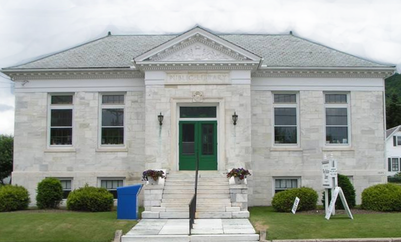 Did you know that the West Rutland Free Library has an AmazonSmile account? The next time you shop on Amazon.com, please visit smile.amazon.com and select the West Rutland Free Library Corp. as your charity. It's as easy as that! The AmazonSmile Foundation will donate .5% of all your eligible purchases to the library at no additional cost to you. Click HERE to learn more about AmazonSmile and how your everyday purchases can help support your local library. Happy shopping and THANK YOU for your support! Like Us on Facebook for the latest Library news and events.